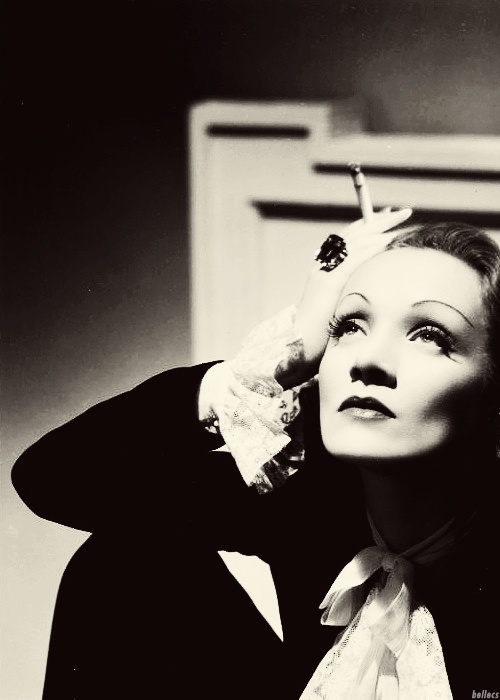 To grasp the elegance, uniqueness, the glamorous aura of Marlene Dietrich in words, is nearly impossible. So much so, she takes people captivated, then as now. 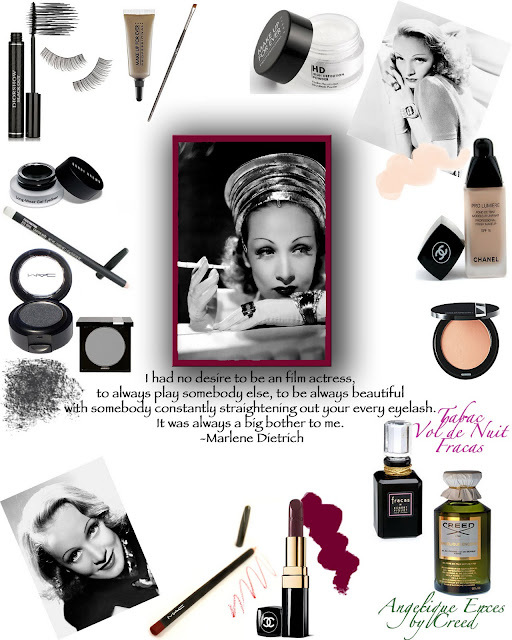 Narrow eyebrows, a heart-shaped the hallmarks of Marlene Dietrich fashion were made-up mouth with dark lips, an elegant and often burschikoser look. To an unapproachable, evii view, the deep voice and a smoking cigar. What kind of a Grande Dame. I really admire her on so many levels, and the more I’m with her life and her work, the more I prefer my imaginary hat to this unique artist. I would like to take you to the time in which Marlene coined the film and fashion, like any second. In the time in which a lady turned against all conventions of society. At the time, the Marlene pants its origin took a piece of clothing, which today is one of the most elegant and comfortable at the same time fashionable pieces every lady,. And I want to show you how you too can closer to the elegant style of this woman. Their wonderful songs are a prelude to the world of Marlene Dietrich’s. I love to sing their melancholy, gentle and warm way. “Tell me where are the flowers” is about the terrible consequences of the war. Written by American Pete Seeger in 1955, presented in 1962 the first time on German singer the audience. It is today than probably ever. 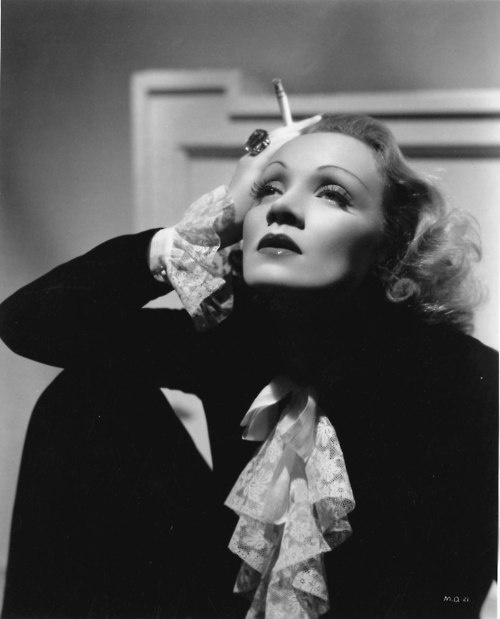 When dealing with Marlene Dietrich, you will probably automatically melancholic agreed. Lili Marleen is another song by Marlene, who especially touched me and stimulates thinking. The piece from 1937 is a soldier song whose first verse of the poet Hans Leip wrote at the beginning of the first world war. 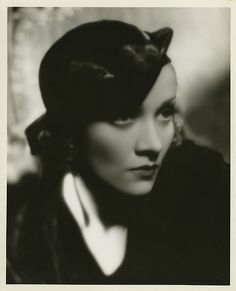 Marlene Dietrich made her great breakthrough in 1930. The young Berliner played the lascivious Lola in Josef of Sternbergs film “The Blue Angel”. The screenplay was based on the novel “Professor junk” by Heinrich Mann. The teachers Emil Jannings falls in love with a vaudeville singer, played by Marlene Dietrich, and it perishes. 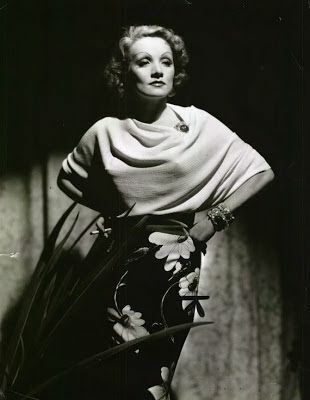 This role of the Femme Fatale was tailored on the body of Marlene. So she not more quite let go of this image of her life. She followed to Hollywood, where she made seven more films with him and eventually became the icon of the movie directed by von Sternberg. In an impressive interview of the mirror with her daughter Maria, which uncovers some sad but also impressive backgrounds about the artist , we learn that Marlene’s regarded as their duty, to be very perfect. “The Director of Sternberg has created Dietrich, it has accepted this role. She owed it to always be perfect their own legend,”as Maria. To perfect their look and their distinctly narrow cheek bones even more scene to put in, sent to four molars. 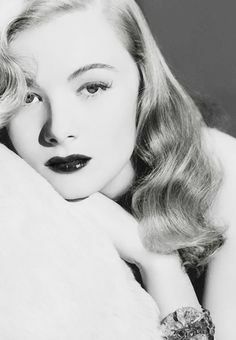 The ladies of the old Hollywood had applied already rigorous methods to perfect their appearance to let. The wonderful her fashion was the Exchange between the sexes. Her first Hollywood movie, “Morocco”, the cult made their casual, masculine look. Filmed in 1930 with drama star and heartthrob Gary Cooper, it is found for the first time with trouser suit . She kissed a woman, what a scandal at the time dressed as a man! The film went around the world, and thus also their progressive fashion. Pants and blazers, white shirts, silk blouses to do so as well with loops or frills were in the dressing rooms of the women’s world. Markenes break with the prevailing stereotypes of the time make it a model of the generation of women. Their pants for the androgynous look far and just were tailored, fitted with creases, also fitted and whose hem reached down to the floor. It was, for example, Oxford lace-ups. Bow tie or tie, Barrett or cylinder, and usually a cigarette in his hand were used as Accessories. The classic Marlene pants are up today a wonderful piece of clothing, in which I feel as a woman dressed, elegant and stylish. An absolute must have for an elegant Vintage Lady. A high quality and a good stuff for those pants are important. The second known look of the actress is the exact opposite of this masculine-looking appearance. Absolutely glamorous and female. If you look at the shots of the singer and actress, it sifts through very often floor length, wallene or tight-fitting evening dresses. These were often fitted with sequins or glittering beads. 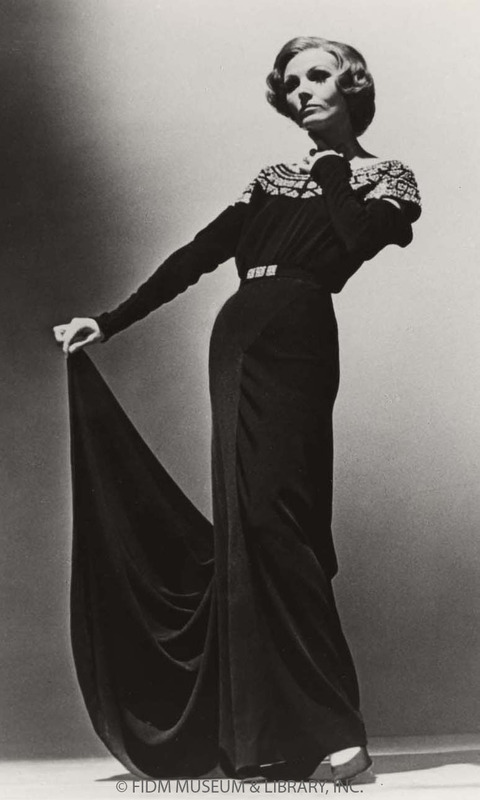 Many seamstresses worked on Marlene’s clothes for months, until the perfectionist was fully satisfied with their outfits. This combined opulent, great jewelry, as large rings or magnificent chains. 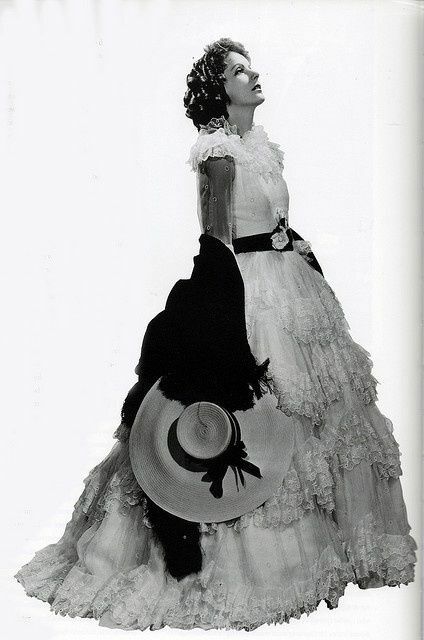 These were the stage costumes of their ‘one woman shows’, which often perform them from the 50s, as in London or Paris. So, she was also the first German artist, who appeared after the second world war in Russia. 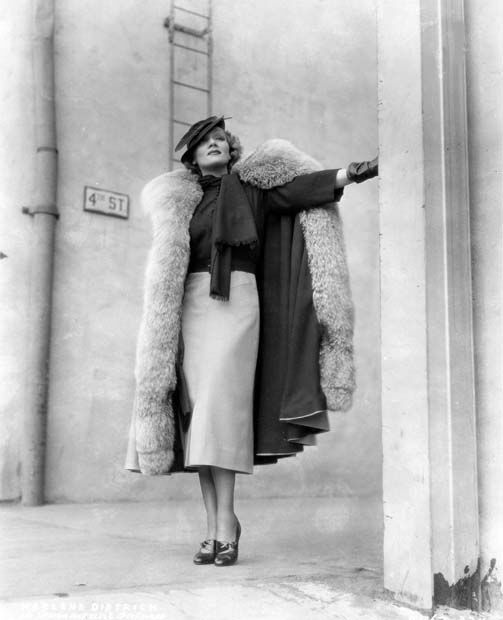 This is Marlene’s stage coat – breast feather of swans – with a three-meter-long train. Allegedly, 3000 swans should have left her life for it. One would imagine that! This was tragically not uncommon at the time. To these beautiful clothes she wore big feathers, stoles, or fur. And as the most important accessory always a gorgeous look. 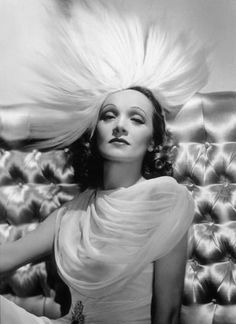 In advance, I would stress that I would like Marlene Dietrich pictures copy in any way. Their special aura is unique and is nobody able, to imitate them. We heard the Marlene Dietrich fashion with our shooting, in our own way , to interpret their elegance and their pride, to reproduce and to immerse a piece into the glamorous world of Marlene. But also their cool, casual and slightly overbearing page should be ignored here. For me, it was important to connect not only with Cigarrettes and wide trousers . 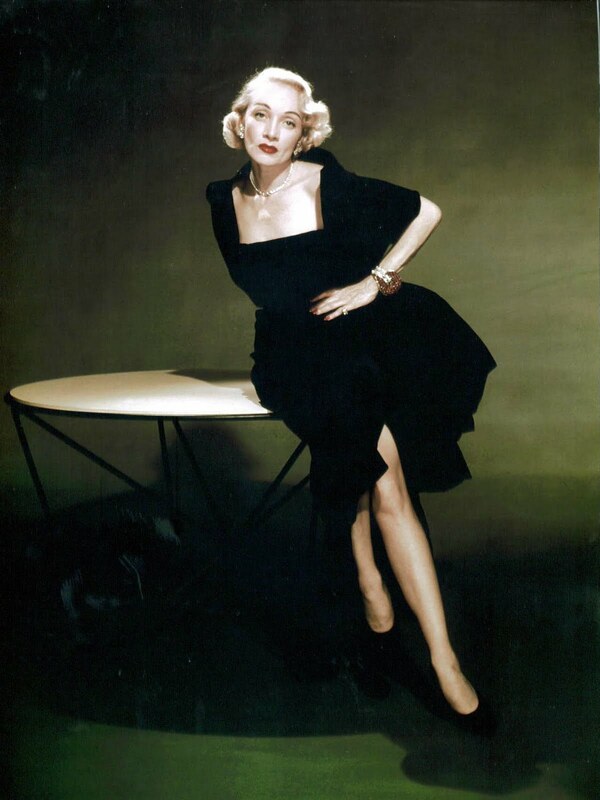 Marlene Dietrich was also tremendously chic, glamorous and eccentric. With faux fur, glittering dresses and pompous jewelry we wanted to meet even this page of the exceptional artist. In these pictures, I show you how nice it is to recreate this special style of the icon. That would be a life’s work to take a look behind the scenes of the public Marlene Dietrich . 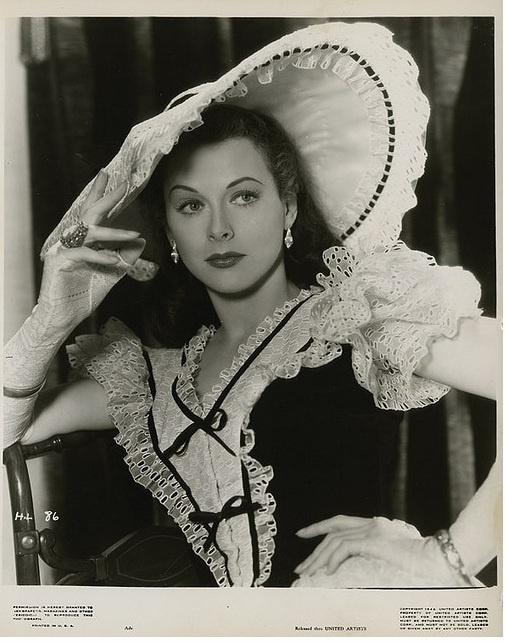 But so much was said: she was not only a great actress, eccentric diva, but also very committed. After the outbreak of the war, moved the native Berliner to Paris and committed to refugees. She rejected the German citizenship, went to the front and entertained the troops with small shows to treat them in the hard times a little Plaisir. By their fight against the Nazis, she was regarded as “Vaterlandsverräterin”. May have been her a diva, a complicated woman. But always with a big heart. And that makes this star but ultimately so special. On his deathbed, Marlene’s last wish was fulfilled. Black pants and a white blouse. The last outfit their time on Earth was that once immortal they made. Alfred Polgar, journalist and years of friend Marlene’s, wrote a book about the actress. Marlene: picture a famous contemporary*, was built in 1938, before Polgar was forced to flee from the Nazis. 75 years after its creation, the book 2012 published the first time was. A special recommendation! I’ve also recently allowed me this book and can’t wait to dive even deeper into the myth of Marlene Dietrich. You can find it here*.